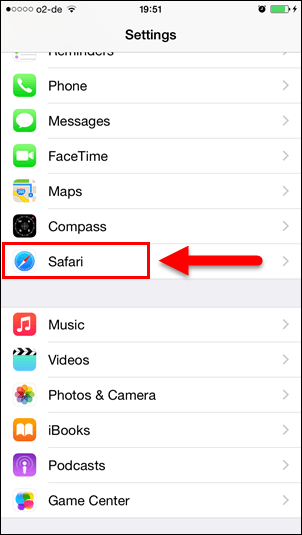 How to close all safari tabs an once on iOS 8.x? Devices with iOS 8 / iOS 8.1 / iOS 8.1.1 : iPhone 6, 6 Plus, 5s, 5, 4s, iPad, iPod touch. 2. Scroll down to Safari and Tap on it. 3. 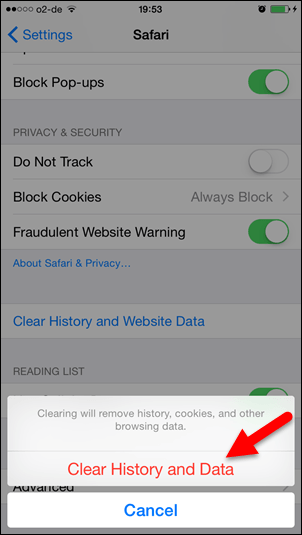 Scroll down to Clear History and Tap on it. 4. 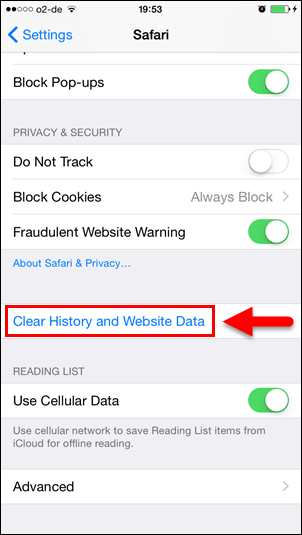 Tap on Clear History and Data. 5. All tabs are now closed. This page was last modified on 8 December 2014, at 21:49.